Earlier this month, the World Bank approved a comprehensive overhaul of its social and environmental framework. After four years of heated debate, the final framework includes a new provision in the vision statement asserting that “the World Bank’s activities support the realization of human rights…” and that the Bank “seeks to avoid adverse impacts and will continue to support its member countries as they strive to progressively achieve their human rights commitments.” But prevailing forces within the Bank rejected the call to go further to include a binding commitment to respect human rights, falling back on stale arguments that human rights are political and outside the Bank’s development mandate. This refusal of the Bank to finally institutionalize human rights is an abject failure for the people who risk their lives speaking out about development projects or defending their lands. In fact, the government clampdown on civil society in many countries explicitly targets those who may stand in the way of development initiatives. The watchdog group Global Witness identified 2015 as the worst year on record for killings of land and environmental defenders, with 185 killings across 16 countries. Governments around the world are increasingly passing laws restricting the activities of civil society groups and making it more difficult for voices that may be critical of development initiatives to be heard. This environment of violence, intimidation, and closing civil society space renders meaningful public participation in development virtually impossible. Development finance is on a collision course with human rights. The combination of human rights abuses and development is not new, of course. But the growing pressure on land and resources, and the recent resurgence in big infrastructure projects has created a volatile mix. Combined with a move by traditional development banks to increase investments in “fragile and conflict affected states”, and a shrinking space for civil society globally, development finance is on a collision course with human rights. This volatility is playing out in an indigenous community in rural Sindhuli, Nepal. Abhijeet* and his community have been writing letters, filing complaints, accessing courts, organizing, and staging demonstrations to protest the construction of a high-voltage transmission line through their lands. Neither the project developers nor the World Bank, which is financing the project, provided adequate information or consulted local communities that stand to be displaced or suffer other adverse impacts. While interventions aimed at reducing poverty should be targeted specifically to benefit poor or marginalized communities, it is often those very communities who lose their resources or are forcibly evicted from their land as a result of “development”. “[N]either I, nor my community, have ever been consulted about our development plans and priorities by the government, a corporation, or a development finance institution,” explains Abhijeet. In July, the local police once again detained community members who were peacefully demonstrating, releasing them only after they signed a document expressing consent for the transmission project. 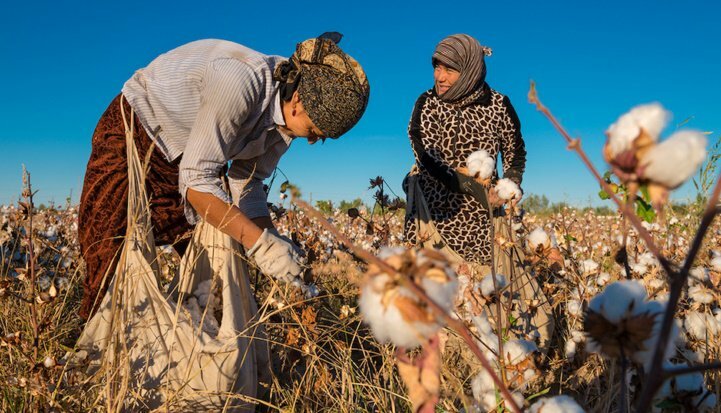 In 2015, Dmitry Tikhonov—who now lives in exile due to ongoing threats—was working with the Uzbek-German Forum for Human Rights to document labor violations connected to cotton production, including monitoring World Bank project areas. Following a complaint connecting World Bank loans to forced labor, the Bank instated loan covenants requiring monitoring via the International Labor Organization (ILO). Rather than curbing labor abuses, however, the government increased its repression, threatening and detaining labor monitors in order to safeguard its loans—and the World Bank did little about it. That same year, Pastor Omot Agwa was arrested by Ethiopian authorities. Omot had previously been employed as a local translator by the World Bank’s Inspection Panel during its investigation of a Bank project linked to government actions that forcibly evicted 70,000 indigenous people from their homes. Following the Panel’s published report, Omot was arrested and charged under the government’s draconian counterterrorism law. World Bank management failed to publicly condemn Omot’s arrest, and the Bank has continued to approve additional loans to the government, while Omot remains in prison. However, because of high profile cases like Omot’s and the killing of indigenous human rights defender Berta Caceres—who campaigned against development projects threatening indigenous communities in Honduras—some development actors have started to take notice. In recent months, the independent accountability mechanisms of the World Bank, the International Finance Corporation (IFC), and Inter-American Development Bank have developed or are in the process of developing protocols or guidelines for ensuring the security of community members who lodge complaints. But as the World Bank’s recent policy framework overhaul illustrates, securing concrete progress within the banks themselves is more challenging. Human rights and development groups around the world are now joining forces to push development banks to ensure their investments aren’t putting human rights defenders at risk. In a joint statement, more than 150 civil society groups called on international financial institutions to respect human rights and to support an enabling environment for public participation, in which people can craft their own development priorities and hold governments and financiers to account. The statement emphasizes that development banks must institutionalize a commitment to respect human rights in their activities, analyze the enabling environment for participation, and identify related risks. Banks should devise creative ways to ensure that communities and civil society groups can participate in projects and utilize complaint mechanisms without risking their safety. In their research and technical assistance, financiers should stress the importance of public participation for the success of development outcomes. Finally, if risks arise or human rights abuses take place, the banks should have protocols in place to be able to respond firmly and effectively to minimize harm and provide redress. While the World Bank failed to adopt a robust commitment on human rights, there is still much the institution can do as it develops the technical procedures and tools to implement its new policy framework. For instance, because project proponents are now required to assess potential risks to vulnerable groups, the Bank could ensure that those assessments examine risks to human rights defenders. And there are ripe opportunities at other development financiers as well. The US Overseas Private Investment Corporation (OPIC) and the German development bank (KFW), for instance, are legislatively required mandated to ensure projectsidentify respect human rights risks. This provides an opportunity to implement due diligence measures that safeguard human rights defenders. In fact, any development bank that has requirements for consultation and public participation, which is most of them, should be examining the enabling environment for civic space within the project area. The banks can’t purport to be financing sustainable development if local communities aren’t able to engage in the development process without putting their lives at risk. *Name has been changed due to security concerns.